GIVE REAL CHANGE. 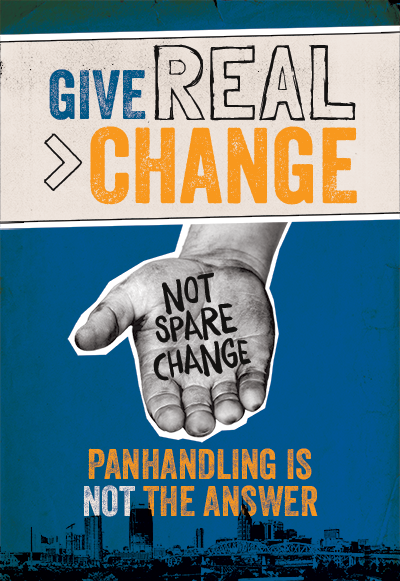 NOT SPARE CHANGE promotes alternate giving to community service providers in order to have a more lasting impact than giving to people who are panhandling. Many options are available for those in need. Support local organizations that provide a wide range of needed services—by contributing donations and/or volunteer time. Your financial and volunteer support is an investment in long-term solutions. Donate today to an organization of your choice. Make an online donation to these downtown organizations offering a wide range of services—Nashville Rescue Mission and Room In The Inn. Many downtown employee groups enjoy participating in regular volunteer service projects together. Consider initiating a service project at your office or residential complex. Many organizations in Nashville offer shelter, services and meals. A directory of current resources, including meals, is available online. This Where to Turn in Nashville guide is published by The Contributor. Walk with certainty and confidence. Make eye contact and acknowledge the person with a nod. Choose to respond politely. You may simply say "no" or "not today." If you want to offer something, consider bottled water or food gift certificates rather than money. Call 615-862-8600 for non-emergency police assistance (or 911 in an emergency situation). By being better informed about the available community resources, you may be able to direct people who are panhandling to the help they need. The Nashville Downtown Partnership has posters, rack cards, resource cards and a slide to use on information screens that your business or other group may hand out or display. 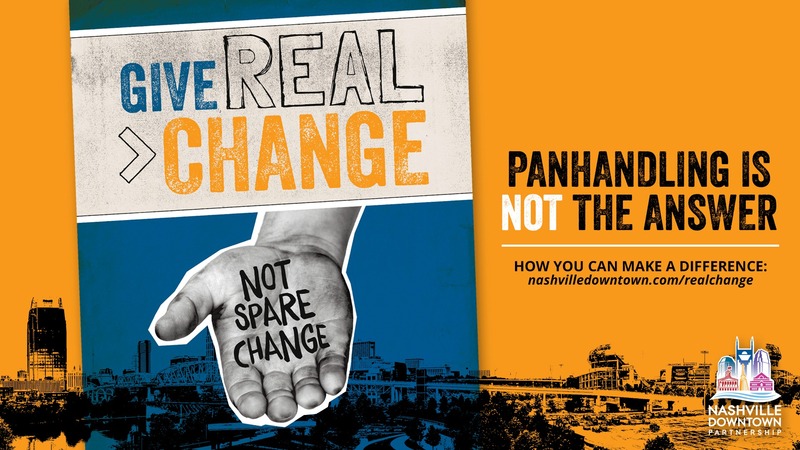 Please email realchange@nashvilledowntown.com to request these items. Thumbnail images (click to view a larger version) of these publications are below.